Many small business owners find themselves hiring and managing employees, often without a human resources department to assist in the work on a daily basis. Creating and implementing policies for employees at your small business through an employee handbook is a great way to clearly communicate expectations and standards in the workplace. 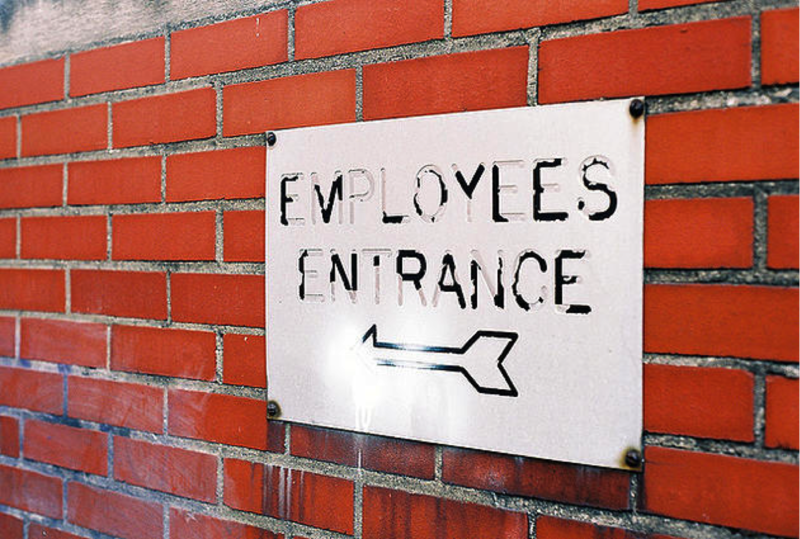 Create: When you develop an employee handbook, it is essential to keep the basics in mind. Disclose policies that are relevant on a daily basis in the handbook regarding absences, time clock procedures and daily expectations of all employees in the workplace. Consider a handbook a way to protect your small business from legal issues in the future if an employee breaks clearly stated rules or policies. Implement: After introducing the employee handbook to your current or newly hired employees, explain the importance of their understanding of the policies within the handbook and practicing them on a daily basis. Encourage them to ask questions to clarify any questions or concerns they may have. Consider having employees sign a document stating their full understanding regarding their expectations while in the workplace to reference at a later time if needed. Enforce: Although terminating an employee is a major decision for any business owner, referring to an employee handbook will allow you to point to clear policies and expectations that the employee has broken. You can use the handbook to support your decision to take corrective action or to terminate an employee if necessary. Managing employees on a daily basis can be made easier by maintaining an employee handbook that clearly and concisely lays out the rules and expectations in the workplace. Are you seeking legal advice pertaining to current or potential employees at your small business? The Wilkerson Law Office for your small business, nonprofit, or faith-based organization legal service needs today! Asha Wilkerson is the founder of The Wilkerson Law Office. Ms. Wilkerson provides skilled advice and counsel to for-profit, non-profit, and faith-based organizations in the areas of business and employment law. The mission of The Wilkerson Law Office, is to preserve the longevity of your business by ensuring that every aspect of your organization is legally sound and operating in compliance with state and federal law.